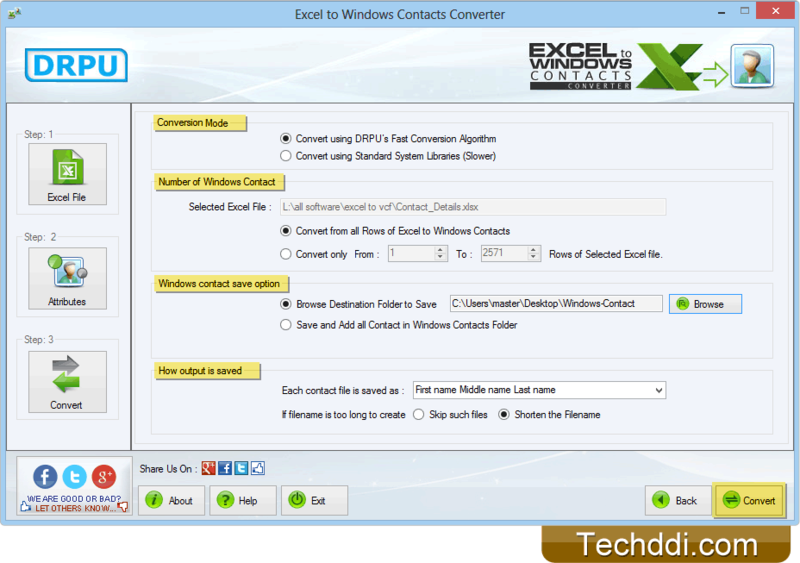 Browse excel file of contact details to convert into windows contacts. Select excel sheet, excel columns and click OK button. 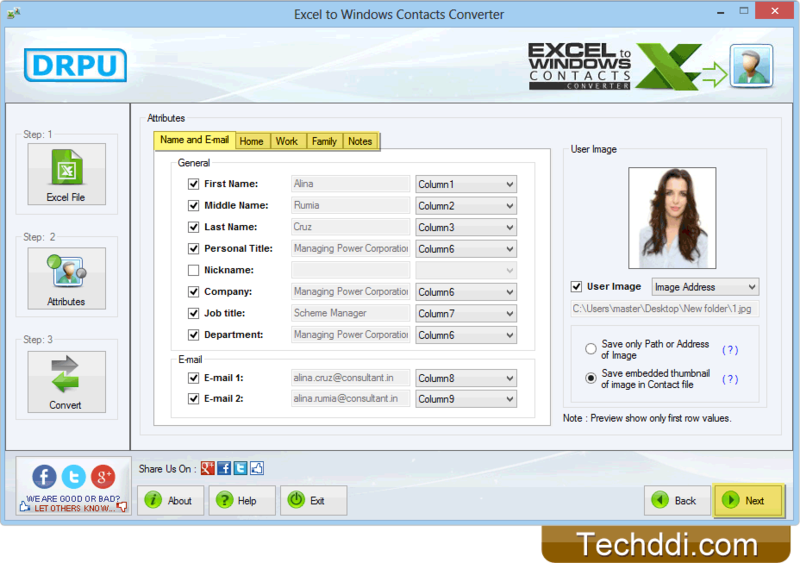 Select various contact fields including Name, Emails, Phone Numbers, Address etc. 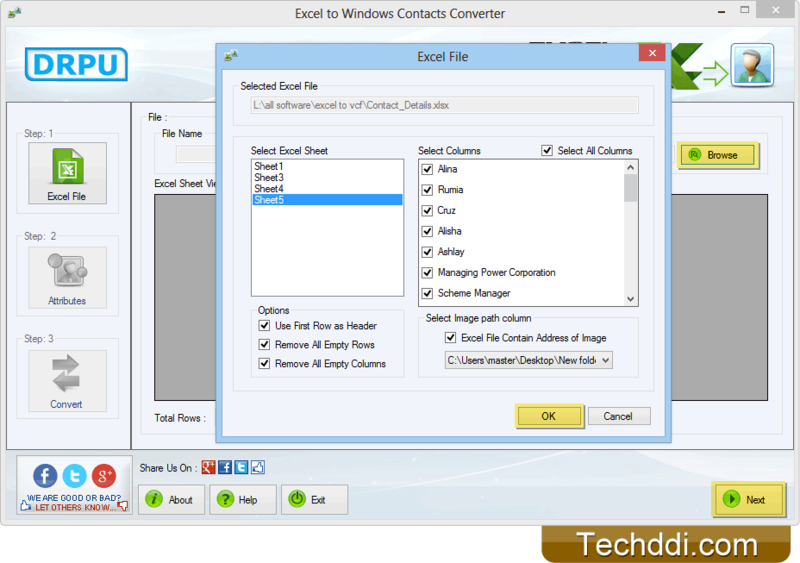 Choose Conversion Mode, Number of Windows Contact, Windows contact save option, select How output is saved and click 'Convert' button. 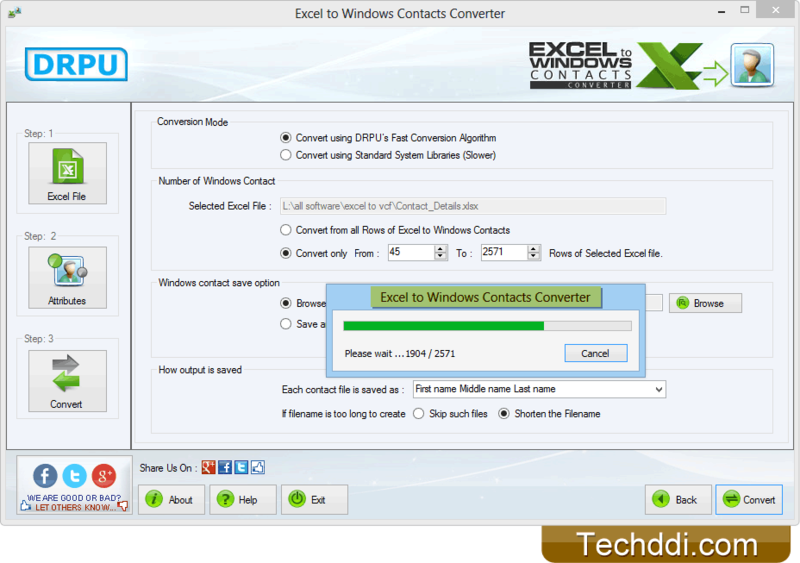 Excel to Windows Contacts conversion process is in progress.